Angela Lansbury will be profiled by Katie Couric for CBS Sunday Morning. It will air this coming Sunday morning, December 6th. 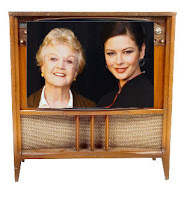 Angela Lansbury and Catherine Zeta-Jones will be on Good Morning America on Dec. 9. The same day, Catherine will be on Live With Regis and Kelly.